Christian Keysers is professor and group leader of the Social Brain Lab at the University Medical Center Groningen in the Netherlands. The lab explores the biological nature and neuroscience of empathy. 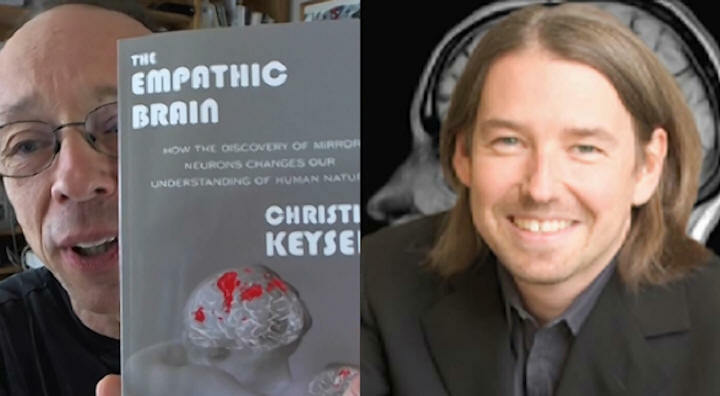 Christian is author of 'The Empathic Brain: How the Discovery of Mirror Neurons Changes our Understanding of Human Nature'. How does empathy work? | Neuroscientist prof. Christian Keysers: "We can choose to train empathy"
Empathy - the monkey and the peanut - HD from People United on Vimeo. In our first Living Room, Empathy: the monkey and the peanut playwright and campaigner, Sarah Woods, and neuroscientist, Professor Christian Keysers, explored the science behind empathy, and the part that mirror neurons in particular play in activating an empathic response in us. "Unfortunately, these examples are not exceptions but are reflective of Hickok’s methods throughout the book: He presents and then deconstructs dramatically oversimplified claims about mirror neurons, implying that these reflect the proposals of the scientists working in this field. His refutations of these claims are passionate and compelling but, ironically, lead down the very path of mystification he tries to denounce. " "While we watch a movie, we share the experiences of the actors we observe: our heart for instance starts beating faster while we see an actor slip from the roof of a tall building. Why? Specific brain areas are involved when we perform certain actions or have certain emotions or sensations. Interestingly, some of these areas are also recruited when we simply observe someone else performing similar actions, having similar sensations or having similar emotions. These areas called 'shared circuits' transform what we see into what we would have done or felt in the same situation. With such brain areas, understanding other people is not an effort of explicit thought but becomes an intuitive sharing of their emotions, sensations and actions. Through the investigation of shared circuits, our lab attempts to understand the neural basis of empathy and its dysfunctions. " "Psychopathy is a personality disorder associated with a profound lack of empathy. Neuroscientists have associated empathy and its interindividual variation with how strongly participants activate brain regions involved in their own actions, emotions and sensations while viewing those of others. Here we compared brain activity of 18 psychopathic offenders with 26 control subjects while viewing video clips of emotional hand interactions and while experiencing similar interactions." A brain imaging study in the Netherlands shows individuals with psychopathy have reduced empathy while witnessing the pains of others. When asked to empathize, however, they can activate their empathy. Criminal psychopathy can be" both repulsive and fascinating, as illustrated by the vast number of books and movies inspired by this topic. Offenders diagnosed with psychopathy pose a significant threat to society, because they are more likely to harm other individuals and to do so again after being released. A brain imaging study in the Netherlands shows individuals with psychopathy have reduced empathy while witnessing the pains of others. When asked to empathize, however, they can activate their empathy. This could explain why psychopathic individuals can be callous and socially cunning at the same time. Why are psychopathic individuals more likely to hurt others. "A brain imaging study in the Netherlands shows individuals with psychopathy have reduced empathy while witnessing the pains of others. When asked to empathize, however, they can activate their empathy. Criminal psychopathy can be both repulsive and fascinating, as illustrated by the vast number of books and movies inspired by this topic. Offenders diagnosed with psychopathy pose a significant threat to society, because they are more likely to harm other individuals and to do so again after being released. A brain imaging study in the Netherlands shows individuals with psychopathy have reduced empathy while witnessing the pains of others. When asked to empathize, however, they can activate their empathy. This could explain why psychopathic individuals can be callous and socially cunning at the same time. Why are psychopathic individuals more likely to hurt others? " "Anja and Rhys's love story is told from a neurological perspective, by neuroscientist Christian Keysers. It's the story of two individuals whose brains begin to 'mirror' each other as they gradually fall in love. As Christian says it's "...not so much an exchange of information as two brains becoming one." Author of 'The Empathic Brain', Christian is Head of the Social Brain Lab at the Netherlands Institute for Neurosciences. He seeks to understand how, as social animals, our brains mirror those of other people, so that understanding others is not an effort of explicit thought but an intuitive sharing of emotions, sensations and actions." "It was previously thought that psychopaths lacked the capacity for empathy but new research shows they are able to switch it on and off 'at will'. The study took eighteen psychopathic prisoners and showed them a variety of video clips of people hurting each other or displaying affection. Brain activity in the regions involved with empathy were then monitored as the subjects watched the videos." "Mirror neurons “mirror” the behavior and emotions of the people surrounding us in such a way that the others become part of us. Knowing that such cells exist can explain many of the mysteries of human behavior. For instance, why it’s so hard to stick to a diet if you see people around you that eat the very thing you should not. 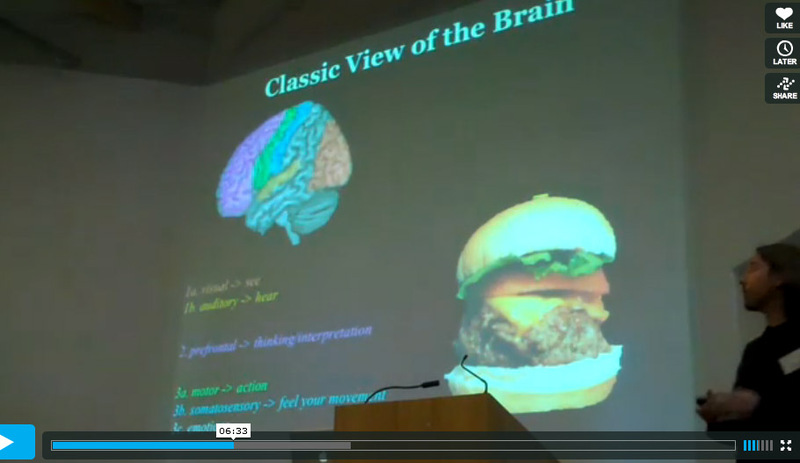 Mirror neurons provide an answer"
Is perception like a sandwich? What happens when we hear an action? Paradoxically, the major hurdle to understanding the human mind is the obsession for rationality of the minds of the scientists that study it. The second hurdle is computers. Together, they have created the vision of a brain that processes all information in a conscious, logical and abstract way–much as ordinary computers do. The discovery of mirror neurons changed this vision. "Shortly after the team in Parma first discovered mirror neurons in monkeys, neuroscientists interested in the social mind everywhere in the world began to debate whether a similar system exists in humans." "In a classical view of the brain, the process of understanding other individuals relies on specialized systems in the brain that are separate from those responsible for our own actions. This suggests that your own motor skills should have limited and indirect influences on your perception of other people’s behavior. In the light of mirror neurons, the situation is quite different." "From an evolutionary perspective, human language seems to come out of nowhere. With the discovery of mirror neurons, this has changed. Apes may not spontaneously use language, nor can they learn grammar even in contact with humans—but they have much of what it takes to do so. Mirror neurons prepare apes to realize that they can communicate and share skills with others"
"Our feeling goes further than our personal experience and observation, though. While we watch James Bond being wakened by the tarantula, our understanding is not limited to his bodily actions—we also share his feelings. We sweat with his fear and rejoice with his victory. The feelings of the people that surround us are contagious." "Over the years, evidence of a mirror system for action has accumulated and our vision of the brain has changed accordingly into one of a more integrated system that processes the actions of other people using the same areas that are activated while programming our own actions." Is knowing as good as seeing? "Shared circuits appear to be ubiquitous: we activate our own actions, sensations, and emotions while witnessing the actions, sensations, and emotions of others. This begs the simple and yet central question of how mirror neurons develop. In turn, we have to ask how a single neuron can ever respond to three things that physically have very little in common: the contractions of our muscles while we perform an action, the photons hitting our eyes while we see a similar action and the sound pressure waves while we hear this action." Are shared circuits impaired in autism? Is a broken mirror a broken heart? The evolutionary riddle: why do selfish genes care about others? How much of us is purely private, then? How many of our bodily skills are ours? Shared circuits blur this question and distinction because the moment I see you do something, your actions become mine. The moment I see your pain, I share it. Are these actions and pain yours? Are they mine? The border between individuals is softened through the neural activity of these systems. A little bit of you becomes me, and a little bit of me becomes you. 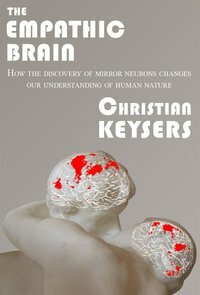 We talk with Christian Keysers, author of The Empathic Brain: How the Discovery of Mirror Neurons Changes our Understanding of Human Nature. Psychopaths do not lack empathy and can turn it on when they want to, according to new research that challenges the current understanding of the psychological disorder. Psychopaths involved in the study showed very little empathy for others, but this was reversed once they were told the experiment would measure their levels of empathy. “It was one of the really exciting and surprising results,” said Christian Keysers from the Netherlands Institute for Neuroscience, who announced these results at the Euroscience Open Forum in Dublin, Ireland. 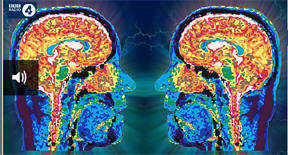 to find out how empathy works in the human brain. Through the Wormhole S3E7 - Can We Eliminate Evil? 42 min. 02:30 The nature of evil and psychopaths. 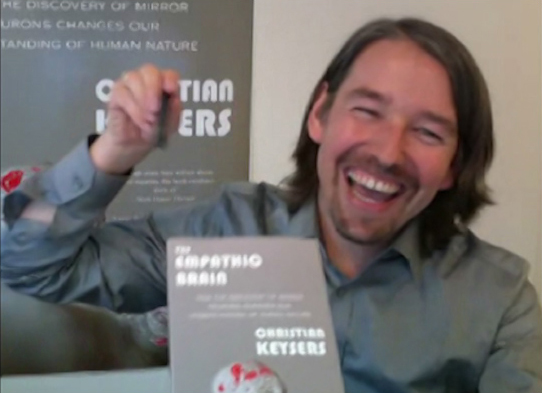 In Amsterdam, Christian Keysers is studying empathy. Christian is looking for the source of human cruelty. To find out how empathy works in our brains,Christian makes short films of painful acts to screen for test subjects. He scans the brains of psychopaths. Psychopaths do have capacity for empathy, they just don't use it spontaneously. Christian Keysers explains how empathy can be measured using fMRI. Netherlands Institute for Neuroscience: Empathy - shared circuits and their dysfunctions. Observing another individual acting upon an object triggers cerebral activity well beyond the visual cortex of the observer in areas directly involved in planning and executing actions. This we will call action simulation. Importantly, the brain does not solely simulate the actions of others but also the sensations they feel, and their emotional responses. These simulation mechanisms are most active in individuals who report being very empathic. Simulation may indeed be instrumental for our understanding of the emotional and mental state of people in our sight, and may contribute heavily to the social interactions with our peers by providing a first-person perspective on their inner feelings. 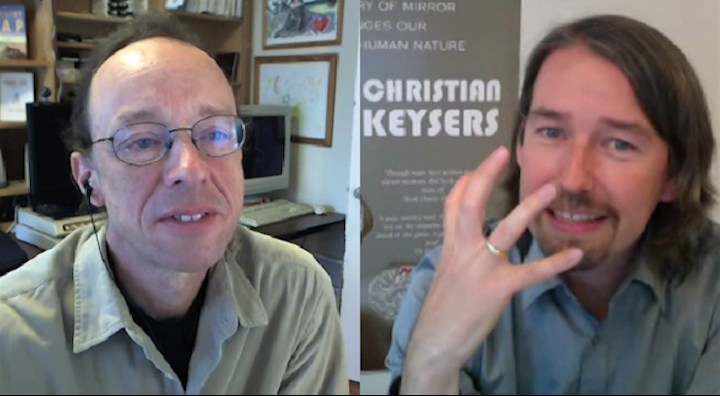 Christian Keysers (right) and Harma Meffert want to dissect empathy by scanning psychopaths. Kinesthetic Empathy 2010: This multidisciplinary conference looked at the relationship between the arts (dance in particular) and neuroscience. In his lecture Christian explores how mirroring in the brain helps us understand why we relate so strongly to movies and dance performances. from The Watching Dance Project on Vimeo. 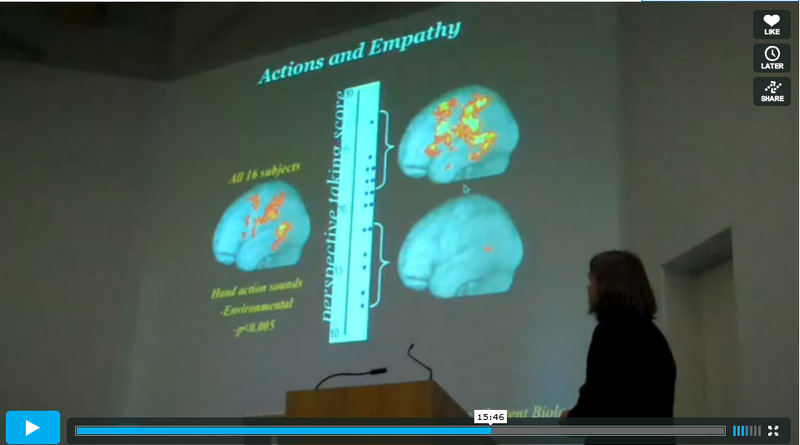 PART 2: From Mirror Neurons to Kinesthetic Empathy from The Watching Dance Project on Vimeo. from Fuller Seminary on Vimeo (If you want to skip the introductions go to 11:00). "Dr. Christian Keysers gives a lecture entitled, "The Vicarious Brain: The Neural Basis of Empathy, Learning by Observation, and Sociopathy." 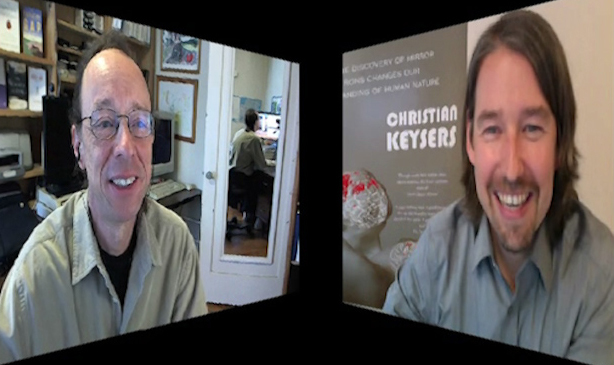 Dr. Keysers is Professor for the Social Brain at the University of Groningen. This session is part of the conference, Understanding Virtue: New Directions Bridging Neuroscience and Philosophy, funded by a grant from the Science and Transcendence Advanced Research Series (STARS) of the Center for Theology and Natural Sciences. It was sponsored by the Travis Research Institute at Fuller Theological Seminary and the California Institute of Technology." Response To "The Vicarious Brain: The Neural Basis of Empathy, Learning by Observation, and Sociopathy"
Dr. Nancey Murphy responds to Christian Keyser's lecture, "The Vicarious Brian: The Neural Basis of Empathy, Learning by Observation, and Sociopathy" followed by a Question and Answer session with both speakers. Dr. Murphy is Professor of Christian philosophy at Fuller Theological Seminary. If you truly want to understand particular actions of other individuals, don’t just study, but acquire their skills, and you will understand them much better. Referees in sports, musical critics, sports’ therapists, and many other professionals should all benefit from realizing that there is a tight causal relationship between their motor skills and their perception. In our knowledge-based civilization, abstract knowledge is valued higher than any practical skill. Einstein, able to grasp the hidden laws of matter and the universe through a simple equation, E=mc2, represents the ultimate genius that most people would be proud to be. Intellectual, abstract, rational thinking is often seen as the goal that schools should strive toward, with more practical and intuitive skills seen as less worthwhile. Another prominent example of simulation is imagination. Imagining actions, viewing actions, and hearing the sound of actions can thus all be seen as examples of simulation. so what is cognitive empathy??? Mirror neurons could play a particular role in establishing this sense of “getting a message through” even in our non-human ancestors.